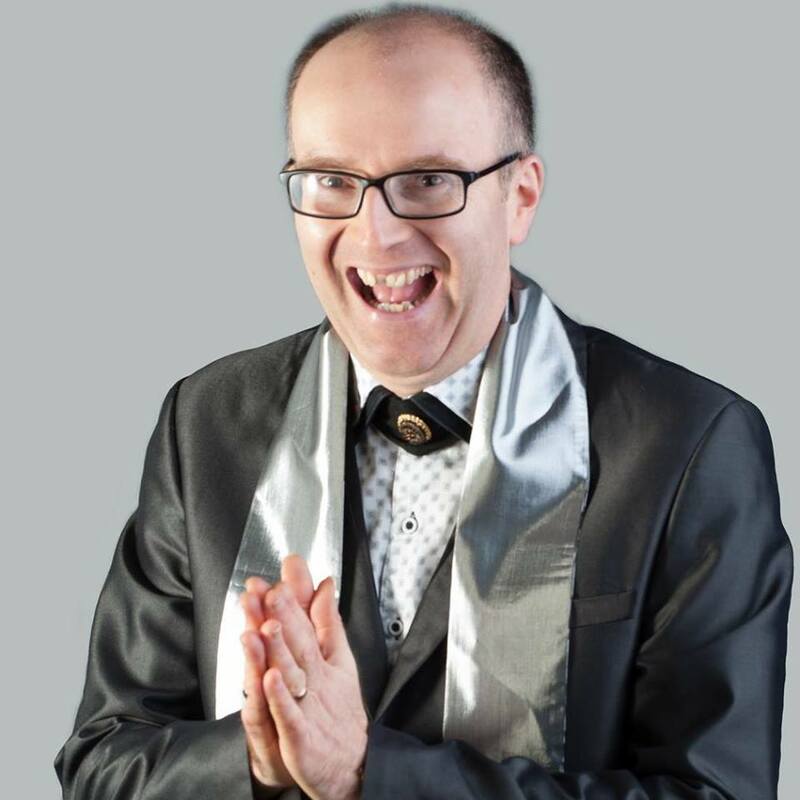 At the end of last month, ATPW had the pleasure of talking to Greg Lambert, known for his work as a manager, commentator, promoter and Master of Ceremonies across the UK for the likes of PCW, RQW, FWA, Southside, IPW:UK and others. With Greg's new book Ropes and Glory: The Emotional Rise of British Wrestling, a sequel to Holy Grail: The True Story of British Wrestling's Revival out now, there couldn't have been a better time to speak to the 15 year veteran of the Brit Wres scene. ATPW - Tell us a little bit about Ropes and Glory, what's it about and what can people learn from reading it? Greg Lambert - It's about the last ten years of British wrestling history, through my own eyes and my experiences. Things that I've been involved in as a promoter or a commentator or a manager on the UK wrestling scene and also things that I've experienced by going to shows and also watching on the telly. Things that I've been aware through studying the British scene. It's the journey from 2007 to where we are now. British wrestling has never, it's just never ever been as good as it is now. Even back in the glory days of Big Daddy and Giant Haystacks, it's never had the attention and received the opportunities that we have now. So, it's the journey of where it was ten years ago, through the triumph and the tragedies along the way, to the return to British terrestrial TV with an episodic series.. It's amazing. When did you begin work on the sequel? Straight after the first book came out. Holy Grail: The True Story of British Wrestling's Revival was the first book and that was really picking up the story from the World of Sport era up to about 2007, but mainly focused on the FWA, which is the promotion even now that I'm most synonymous with. Straight after that came out in November 2012, I went on a book signing tour. Some of the material in this book is from when I was on that tour, that was the first time I went to an ICW show for example, going to PROGRESS Wrestling for the first time, as well. A lot of research spans from back then. How else did you go about collating the material and writing up the book in general? I think I'm blessed with a really good memory, I think that helps. I've got a pretty good memory for dates, but I've also got a book, which every show I've worked on I've kept a list of where the show was, the date of the show, matches on the show. So that's a good reference and some of it comes from the internet as well. There's a lot of interviews as well, with some of the top names in British wrestling. So you're getting their memories, their perceptions of what's happened over the last ten years. The likes of Rockstar Spud, Drew Galloway, Rampage Brown, Noam Dar... So it's not just my narrative, there's different opinions. The Foreword is written by Rockstar Spud, what do you feel was Spud's importance to the book and to the scene as a whole around this time? 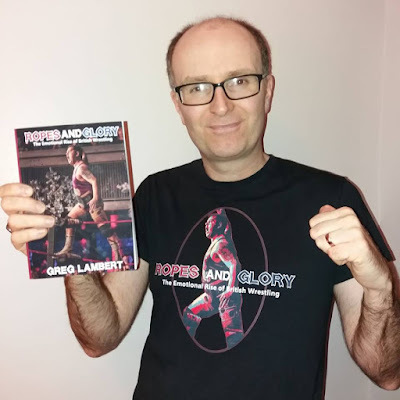 I'm extremely grateful to Spud for taking the time to write the foreword, because I really wanted him to do it, because he's one of my favourite people and favourite performers in British wrestling for the past ten years. The significance is I think Spud broke the mould for a lot of British wrestlers who aren't the stereotypical size, they aren't the stereotypical look, that you would associate with becoming an international star. There's been people like Bret Hart, Shawn Michaels and Randy Savage, who came before and broke the mould for lighterweight wrestlers, but when Spud started out in the FWA in 2004, he was a different level of not looking like a wrestler. He worked on the body, he worked on the performance skills, he working on everything to the point where he became a champion with my promotion, the XWA, as it was. How Spud became the champion and the story, how he evolved from then and how he did in the second coming of the FWA and then to get to British BootCamp and to end up with TNA. That's a great achievement, he basically knocked the door down for a lot of British wrestlers to become stars in America, because he wasn't supposed to do it. He was never supposed to do it. He was told "You'll never make it, you're too this, you're too that" and he just didn't take no for an answer. He preserved and through brains and talent and drive, he made it. I think he set a great example for others. You mentioned earlier that about the numerous interviews that you conducted for the book, did you discover anything new from participating in these? Lots of things. Rampage's interview sticks in my head, as you read the book you'll discover a lot about Rampage Brown, his mentality as a professional wrestler and how it was for him going over to America as a young man and being a part of WWE developmental, before it became NXT. He was there with Seth Rollins and Roman Reigns, but he struggled over there to make any kind of an impact and he talks very candidly about that. He also talks very candidly about his experience on British BootCamp 2, which surprised me, some of the things that he said about that. I think a lot of people that read Rampage's thoughts will find those quite eye-opening. Dave Rayne is interviewed for the book. People will know Dave as the former promoter of FutureShock Wrestling and his role in PCW, predominantly, but I think people will get a different opinion of Dave when they read the contributions that he makes to the book. What an intelligent and quite emotionally sensitive guy he is, but also very clued up on wrestling as a whole. That's how I know him, but I think a lot of people will see a side of Dave that they may not have seen before. Also, Alex Shane. With the Second Coming of the FWA, which in itself is a great story, which is written out in a lot of detail. I think people will be really interested to read what he has to say about that. I think that people's perception of Alex, who can be quite a polarising figure, people's perceptions might change, for the better. Greg, you've had numerous roles in pro wrestling over the years, but what brings you the most enjoyment professionally? Good question! Still booking, I would say. I've just started again, doing some storyline writing for PCW and I think when things go to plan and seeing an audience react, the way you want them to react and you see performers execute your vision, I don't think there's anything greater. I've never experienced anything greater. Commentary I'm really enjoying at the moment, really really enjoying, the commentary side of things. 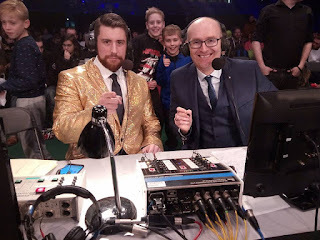 I did the Five Star Wrestling show in January on Spike, which was an incredible moment, personally and professionally, because it was the first live broadcast by a British-based wrestling company on UK television in almost fifty years. To be able to work with an incredible television company, the production people too, because they were really top level people that I was working with. The director was a guy who worked on World Cup Football, World Cup Rugby and some big big fights. To work with that level of people was great. To work with some of the wrestlers as well, some of the biggest names in the industry today likes Rey Mysterio, Drew Galloway, that was just incredible. It's great to commentate for PCW as well, being doing that for five years now, PCW is still a great promotion to work for. Lots of exciting things coming up. Within the book, you reveal a list of instructions you try to stick by as a booker, why do you think they are so important when writing and booking pro wrestling? I think, they're more reminders really. It's very easy when you're booking to lose sight of the big picture, so it's quite handy to have these guidelines in the back of my mind. Which I can always go back to and refer to. They do work. I've got numerous example of them working, but the main one I think is what the book is all about, the book is an emotional rollercoaster and done right booking should be an emotional rollercoaster. The quote by Dusty Rhodes that I talk about in the book "Wrestling is built on emotion" that's my mantra for booking and I think that's very much the mantra of the book as well. As a viewer, I certainly prefer to watch pro wrestling that has a clear vision. Yeah, I think this year's WrestleMania, you can tell, that they've got a much clearer vision, than they did last year. Every match seems to have been built up over time, with a purpose and you can kind of see where they are going, but some of the results of the matches are in doubt as well, which I think is great. Despite the fact you've got that clear direction, there's still a bit of uncertainty about which way they're going, but everything's logical and makes sense and that's what wrestling should be, I think. You've worked with a variety of performers throughout your career, from big international stars to young kids getting their first break. Is there anyone in professional wrestling that you'd like to work with, that you haven't got the chance to just yet? That's a good question! Yeah, loads of people actually I think. On the British wrestling scene, there's a young lad down south, who I really really rate, he's like the new Spud, a guy called Sid Scala. I love the character, I love his passion, he's a protege of Barry Charalambous, who was also a mentor to Spud and a lot other guys as well. You can see Barry's influence in Sid, because like Spud, he knows the value in cutting a promo, of making sure people remember him. It's not always about having the best wrestling match, it's about making sure that you're remembered and Sid does that. From a British perspective, I think he'd be a great person to work with. I think if you read the book, you'll see the respect that I have for Mark Dallas as a promoter. I get on very well with Mark, I think he's great guy and I love his ethos for ICW. I love everything about ICW, in fact Scottish wrestling as a whole. It really does have a special place in my heart, the Scottish wrestling scene. I have a lot of respect for Mark. We're not the same in a lot of ways, but I think in terms of our theories of wrestling, there's a lot of parallels. It would be nice to do something with Mark at some point. I nearly had the opportunity to work with Kurt Angle, with Five Star Wrestling, but that fell through because he signed on to do WWE Hall of Fame. Which is great, absolutely great and well deserved. 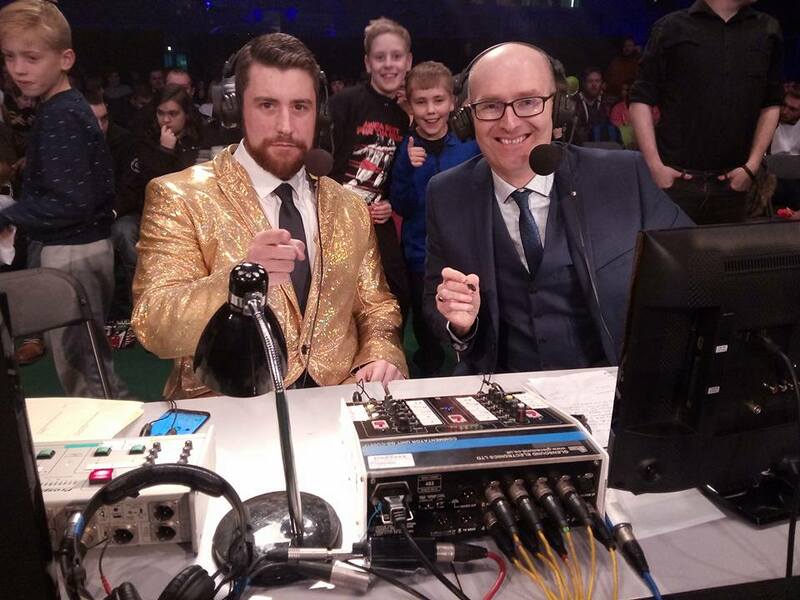 I didn't mind in the end, because I ended up commentating with Joe Hendry and Joe Hendry is a guy I really rate and respect and is thoroughly talented and enthusiastic. When you get the opportunity to work with a guy on Kurt Angle's level, it's a big deal and I still hope I get to work with Kurt in the future. In the first book, The Holy Grail, the Holy Grail was British wrestling returning to television, since then British wrestling has exploded and has indeed returned to television with WOS Wrestling, Five Star and WWE UK (depending on your definition of TV), what's that been like for you personally? To see British wrestling return to the big time? It's had me on the verge of tears, quite a few times, to be honest with you. Not miserable tears, the opposite. It's tremendous. I can't really put it into words. All I can really say about it is that when I started with FWA, when I worked closely with Alex Shane, that was always Alex's vision. Talk Wrestling, the TalkSport Radio show, it was always the vision. When you've worked closely with someone like him, bought into the vision and worked hard to bring the vision about...and in later years, there's other people who've taken up the baton and brought that vision forward and to the next level. I think when you've been involved for as long as I have and worked with the people that I have and seen them struggling and when you've done shows in front of 25 people and you've seen shows cancelled because you've not sold enough tickets and you've seen things go wrong and when you've seen terrible things happen...that when you get to this level, you're bound to be emotional about it. When the World of Sport special was on on New Year's Eve, it was quite something for me, as it was for everybody who has been involved in that struggle for years and years and years. I think that's the real power of wrestling, that not only does it effect those outside the business, but it can have such a profound effect on someone like yourself. Yeah, it is. Done right, it's an incredible artform. It's so difficult to explain. One of the hardest things I find about wrestling is trying to explain it to non-fans, who just don't get it at all and in the end, it's not worth it. People are either going to get it or they're not. But those that do get it, there are a lot of us and it's really nice to share experiences like that. To share the same mentality with such a big group of people. Do you have any future project lined up at the moment? What's next for Greg Lambert? I'll be at PCW, I'm still commentating for them, I'm doing the booking for the main shows and in regards to Five Star Wrestling, I'd expect an announcement soon. A special thanks to Greg Lambert for taking the time to speak to us. 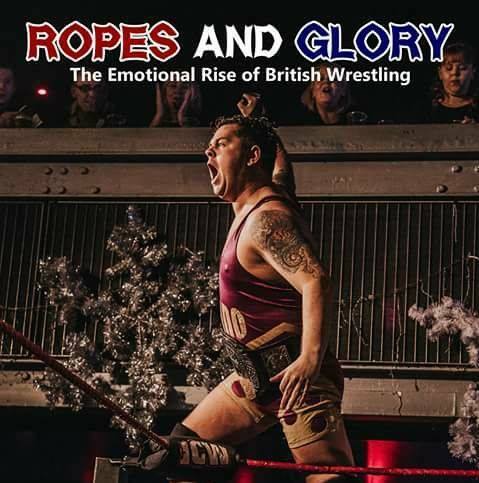 We'll have a full review of Ropes and Glory: The Emotional Rise of British Wrestling on atpw.co.uk soon. You can purchase your copy now, either in Paperback or on Kindle from Amazon and Lulu. You can find more about Greg and Ropes and Glory here. Lets Talk About Banks Baby, Lets Talk About FCP.